For me leeks were one of those intimidating looking vegetables at the grocery store and as scared of Kale as I used to be, I was equally scared of leeks. I didn’t know what they tasted like, I didn’t know any recipes that called for them and I had no idea how to prepare them. 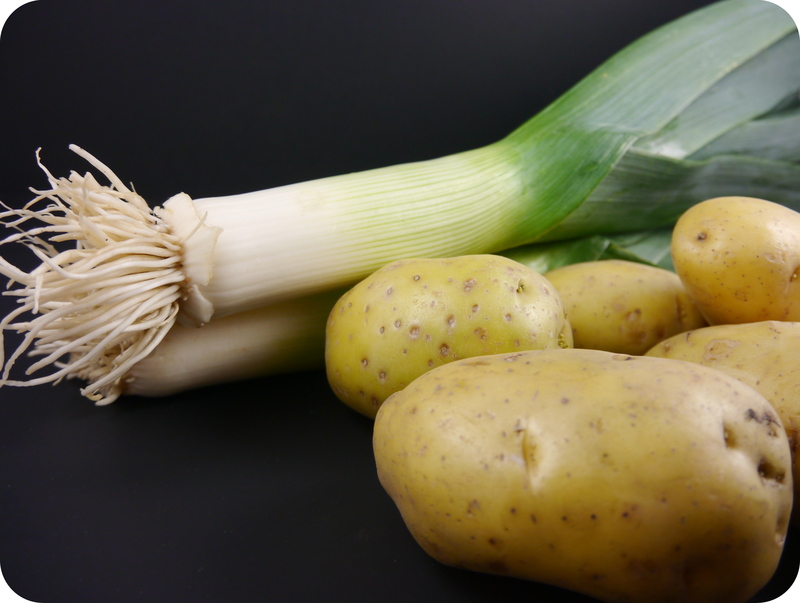 When I wanted to attempt Potato Leek Soup for the first time I purchased my leeks and went straight to the Internet to learn how to clean and chop them properly. The one important thing I learned was that this vegetable needs to be thoroughly cleaned. Leeks, being a vegetable grown in the ground like onions and garlic, they easily hold onto their sand and dirt between the many layers they have. Chopping off the green tops, slicing the stalk in half and allowing water to run between the layers I have found to be a necessity when preparing leeks. 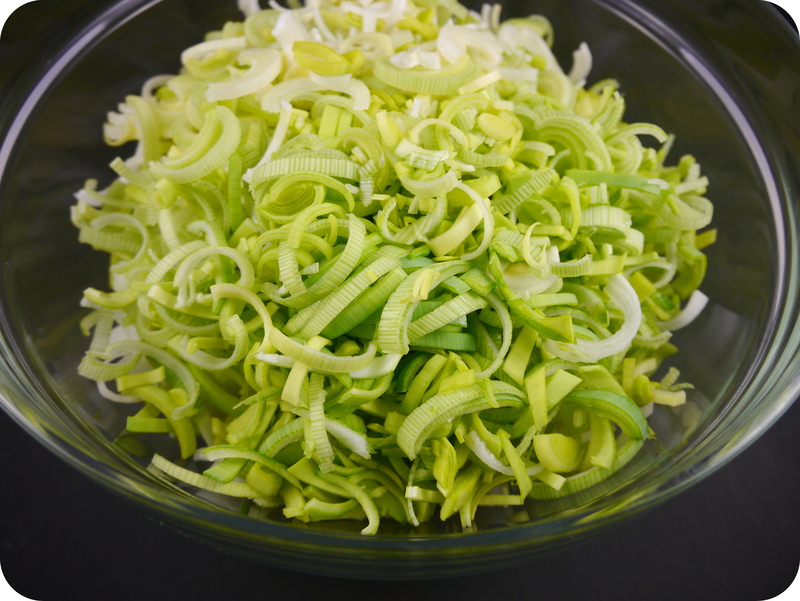 Once this simple rule is followed, leeks are very manageable and not as scary as I thought. My Vegan Potato Leek soup was originally a non-Vegan recipe that I found on the Internet years ago and unfortunately cannot reference because I have no idea where I got it. I just remember I was scouring recipes online and this one seemed like a good, simple, starter recipe for me. It has been adjusted overtime as my taste for spicier foods has changed (added the red pepper flakes) and as I became Vegan. Melt butter in large stock pot over medium heat. Add onions and leeks, sauté until soft (about 10 minutes). Add red wine and reduce down (aka cook the wine away). Stir in flour and cook for 2 minutes, then gradually stir in stock. Add potatoes, bring to a boil, then reduce to a simmer for 30-40 minutes or until potatoes are soft. Stir in milk and red pepper flakes (if using). Turn off heat then using an immersion blender puree soup.